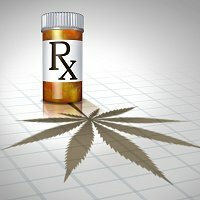 The New York State Department of Health (DOH) will launch the State’s Medical Marijuana Program today. Enabled by Governor Cuomo’s endorsement of the Compassionate Care Act, the program will be accessible to patients suffering from various conditions; including HIV/AIDS, ALS (Lou Gehrig’s disease), Parkinson’s disease, multiple sclerosis, intractable spasticity, epilepsy, inflammatory bowel disease, neuropathies and Huntington’s disease; also known as Huntington’s Chorea. Patients wanting to access legal medical marijuana products must have a physician’s certification, register for an identification card and pay a fee. “Our program ensures the availability of pharmaceutical-grade medical marijuana products for certified patients and establishes strict regulatory controls to protect public health and safety,” said New York State Health Commissioner Dr. Howard Zucker. The Commissioner determines the price of all products, which will also be taxed under an excise arrangement set at 7%. It seems Dr. Zucker is a strong supporter of medical cannabis, rather than just a health official obliged under duress to oversee the program. “Our goal at the New York State Department of Health has always been to ensure that all New Yorkers have access to the best and safest treatments possible,” he says. Five registered organisations doubling as growers and dispensaries are participating in the program. It appears there will be 20 dispensaries operating throughout New York State, with eight ready to open their doors between today and the end of the month. Approved forms of medical cannabis products include liquids and oils for vaporizing or inhalation, plus capsules. Under New York’s program, smoking of medical marijuana is not permitted. The Department of Health’s Wadsworth Laboratories has been conducting final testing of all medicines to be distributed under the program to ensure consistent quality. In the leadup to the official full launch, New York Governor Andrew Cuomo signed two bills to expedite the availability of “emergency medical marijuana” to qualifying patients in November. Further information on the New York State Medical Marijuana Program can be viewed here.